Sub-Saharan Africa is a huge potential market for the security industry. Many of the issues around the region are the result of years of conflict, disease and instability, caused by a lack of real society within modern state boundaries as the traditional social anchors of tribal nations have been almost destroyed by European colonial powers. Other factors, such as the legacy of conflict in countries like Angola, the rise of extreme terrorist organisations such as Boko Haram in Nigeria and Al Shabaab operating into Kenya from Somalia, political reform such as we have seen with the demise of apartheid in South Africa and the ongoing legacy caused by Robert Mugabe in Zimbabwe, have all added to the challenges to this part of the world. However, the opportunities on offer are not caused by “problems”. The wealth in Sub-Saharan Africa, primarily through natural resources gives it a unique position in many markets. Some of the natural resources coming out of the region bring their own unique security problems, like diamond mining, rare earth metal extractions and, of course, oil. Looking at this part of the continent from a business perspective, some interesting facts, initially provided by UKTI DSO for their “Aim for Africa 2012” London conference and still quoted, stand out. In 2010 the UK exported more goods to Sub-Saharan Africa than to China and India combined. Seven of the world’s 10 fastest growing economies are predicted to be from Sub-Saharan Africa (2011-2015). Many African Governments are looking to diversify their economies away from commodity reliance. A rapidly growing African middle class with disposable income has created huge demand for consumer goods. Putting this together with the diversity of potential threats shows that the challenges for the security market are substantial. However, where challenges exist, so do opportunities for progressive, forward-thinking companies expanding into developing regions. Security across Africa is very much in its infancy. South Africa probably has the closest security market to that seen in “western” countries. However, violence is ever present and widely reported with 17,068 murders committed in South Africa in 2013/14 alone, as reported by the Institute for Security Studies and Africa Check. Illustrating this is the private security industry in South Africa. It provides much of what we would see anywhere: guarding, monitoring, escorting, investigating and other security-related services to private individuals and companies. In addition, like in the US, you also find armed reaction. The private security industry in South Africa is the largest in the world, with approximately 9,000 registered companies and in the region of 400,000 registered active private security guards, according to studies quoted in Uinvest.co.ua and by CNN. This is more than the South African police and army combined. Nigeria is an area with high-profile opportunity for growth. As Africa’s most populous nation and one of the continent’s largest economies, the country continues to gain a reputation as an emerging market for a range of industries. The law in Nigeria (The Private Guard Companies Act ) requires that PSCs in Nigeria be registered, licensed and Nigerian-owned, and prohibits the use of firearms by PSCs. The reality is that many PSCs have an armed police component seconded to their operations. This has resulted in a degree of ‘privatisation’ of the public security forces. In the oil sector, the privatisation of public security is so extensive that it can be difficult to distinguish public policing from private security. Military forces are increasingly used to protect oil operations, and are maintained by oil companies. The reality of the law, however, is that there are no required standards of training, which varies widely across the sector as a result. Wages and working conditions are generally low and often exploitative, leading to a low level of commitment and service from guards. There is little monitoring, regulation or oversight of standards in the sector. A key exception is frequent inspections of international PSCs, but this is serves the purpose of intimidation and control rather than to uphold standards. The use of public security forces integrated into private security has the potential to undermine the concept of security for the public good. The willingness of public security forces to resort to force raises ethical issues for international companies. This becomes more of an issue with the difficult security situation in the Niger Delta. The Nigerian state’s reliance on PSCs may involve them in increasingly dangerous and complex political and ethical situations. But one thing is certain, a continued and expanding role for PSCs is likely to remain. Kenya is developing a reputation as an African leader in the emerging technology sector. The video surveillance market has benefited from the Kenyan technological boom with an increasing amount of video surveillance equipment being deployed. A major driver in Kenya is effort by the government to improve confidence in the country’s security reputation, which has suffered following incidents of terrorism and piracy in and around many of its resorts, especially close to its North East coast. Additionally, Kenya’s position in East Africa means it is a gateway to the smaller markets of Ethiopia, Tanzania and Mozambique. However, confidence in its security situation is essential before this can be fully exploited. The video surveillance market in Africa is a prime example of a market where full potential has yet to be realised. The South African market was worth approximately $90 million in 2013 and is the largest and most mature market for video surveillance equipment within Africa, but its growth is forecast to slow. Nigeria has a growing video surveillance market through projects in the utilities industry and public sector city and highway monitoring. These have proved lucrative for some multinational vendors of video surveillance equipment, yet business in Nigeria is not without its challenges. Concerns over corruption, lack of payment and poor security distribution channels linger. Despite various ambitious government plans for video surveillance in different countries across the region, there is a common consensus that the market is still hugely underdeveloped. Sub-Saharan Africa has a small but burgeoning cybersecurity market, which is set for dynamic growth over the next 5 years. In ABI Research’s Cybersecurity Strategies for Critical Infrastructure Market Research it is predicted that regional revenues will hit $100 million in 2015. The region is experiencing soaring Internet growth, boosted by tremendous mobile connectivity. This has outpaced any models experienced in the past by developed economies. The uniqueness of the market not only means that thousands of people will connect to the Internet for the first time in their lives, but also that they are extremely vulnerable online. As fledgling digital economies take off in Kenya, South Africa, and Nigeria, local cybercriminals have emerged and are organising themselves to take advantage of regional financial services including the emerging and highly popular mobile money industry. National support for cybersecurity across the region is poor and the market is primarily dependent on foreign security vendors to offer basic online protection. And yet, the potential to provide cybersecurity services is significant. Both public and private organisations in the region are demanding training, servicing, and consulting services in cybersecurity. Of course, the region is also affected by a unique security issue that needs to be resolved – Ebola. Across all security vertical and horizontal markets, the African market offers lots of untapped potential for manufacturers and distributors of security equipment. The size of its individual country markets may be small at the moment, and the market itself can be described as being in its infancy, but establishing a presence in these regions early will be strategically important to take advantage of future growth. 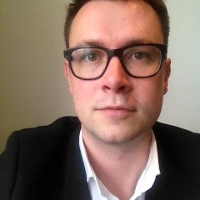 The UK needs a multi-million pound advertising campaign to warn people against online fraud, the Association of Security Consultants’ annual conference Consec heard yesterday. Chris Greaney, the new national co-ordinator for economic crime at City of London Police, said: “We need a campaign of prevention; we need to look at how to bring the intelligence together, and we need to really take care of people who through no faulty of their own have lost all their life savings.” When asked from the floor of the Heathrow event who would pay, and when, Greaney repeated a point that given the millions of online crimes, ‘we can’t just keep trying to enforce’. “I think industry are keen to be involved, Government are definitely keen to be involved.” Such a campaign might cost £10m, he added. Speaking of the latest official England and Wales crime survey, that gave an estimate of 5.1m frauds in a year, Greaney said that police could not investigate them all, and enforcement was expensive and dealing with symptoms and not the cause. “This is the time now for a campaign on the scale of the seat belt campaign,” which took years to get into people’s psyche, he said. 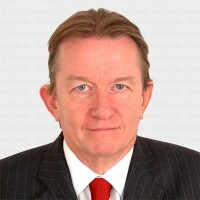 A national campaign was the only way to prevent ‘ecomonic crime’ – fraud – on a UK-scale, especially against consumers, he added. The advertising would advise people how not to be tricked by phone calls supposedly from banks – ask which bank and who’s speaking, then put the phone down and ring your bank with the number on your statement, he suggested. As for phishing emails, Greaney pointed out that people will open an email, even one that says it’s from a bank that they don’t bank with. Greaney said that he wanted to bring banks and police closer together to analyse trends. Greaney set out how fraud was not victimless; banks would pay back victims, but the criminals had the money; so the money came from us. Copyright theft – such as counterfeits – meant that when someone bought a fake handbag or training shoes, that money bought heroin, or trafficked children. Among other speakers, Rear-Admiral John Kingwell, of the Development, concepts and doctrine centre at the Ministry of Defence, gave a ‘global security forecast to 2045′. The annual conference at the Marriott Heathrow was chaired by recently-retired SIA chief executive Bill Butler. An Imbert award for the person nominated by four industry associations – the Security Institute, ASIS UK, the BSIA and IPSA – went to the past chairman of IPSA, Mike White. And John Thorpe, a civil engineer and founder member of the ASC, was made a honorary life member. Chancellor of the Exchequer – George Osborne. In a hugely beneficial move that’s likely to improve the lives of at least 75% of the 385,000 Security Industry Authority-licensed personnel operating within the regulated private security sector, Chancellor George Osborne is set to introduce the National Living Wage for workers aged 25 and over, writes Infologue.com’s Bobby Logue & Risk UK’s Editor Brian Sims. As part of the Budget delivered yesterday to an expectant House of Commons, the Chancellor of the Exchequer also provided security companies with welcome news of a proposed cut to corporation tax in tandem with an increase in the employment allowance. 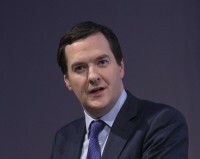 Further, George Osborne revealed that smaller firms’ National Insurance (NI) contributions will fall. The £3,000 employment allowance means that smaller security businesses can now hire four members of staff on the National Living Wage rate and pay no NI. Announced towards the end of Osborne’s Budget speech, the National Living Wage rate of £9.00 per hour will be introduced in 2020, but is set to commence at the £7.20 per hour mark from April next year. The National Minimum Wage is set at £6.50 per hour but will rise to £6.70 per hour, as recommended by the Low Pay Commission back in March. Rhys Moore, director of the Living Wage Foundation, has also responded to the Budget announcement. In parallel, Moore has also suggested that the announcement does raise several important questions. According to Moore, the Living Wage Foundation, members of Citizens UK and the 1,600 accredited Living Wage employers are now “looking forward to an early meeting with the Chancellor” in order to address these questions and “help the millions of workers who deserve a pay rise”. Further good news for the private security sector comes with the Chancellor’s announcement that three million new apprenticeships will be created by 2020 thanks to a levy on larger employers. According to George Osborne, those companies in the security sector wholly committed to training will be able to “get back more than they put in”. Jobseekers must sit mandatory exams to get a Security Industry Authority card. But undercover researchers found colleges happy to sit or forge exams for untrained students for a fee. 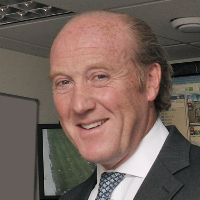 Hugo Martin is chief executive of Hawki, one of the UK's most respected companies providing bodyguard training. He said: "If you don't understand even the law and legislation, you don't know how to deal with conflict, you could potentially do something that could land you up in jail. You've got to be at that skill set where a client has confidence that he's going to empower you with the security of his life and family." Keith Vaz MP called it "a major scandal" and "one of the most shocking things I've seen in all the years I've chaired the Home Affairs Select Committee". Industry insiders had told the BBC large numbers of colleges were willing to help students cheat security exams. One former SIA employee, speaking anonymously, said a high number of colleges were breaking the rules. He went on: "Thousands of people [are] working in the industry illegally, having obtained accreditation illegally." The BBC sent an undercover reporter posing as a student to Ashley Commerce College, in Ilford, east London. The college offered to "fast track" the researcher to becoming a qualified bodyguard - which the SIA says should take 140 hours of training. Asked whether it involved training, manager Haji Yunis said: "No, you only have to do the paperwork." The researcher was introduced to security trainer Tony Bainbridge, who told him to turn off his phone before reading out answers to exams and instructing him to copy large sections of somebody else's exam. A would-be bodyguard was present, having the answers dictated to him so he could be fraudulently licensed. Mr Bainbridge boasted: "You're doing 14 days [training] in three hours." 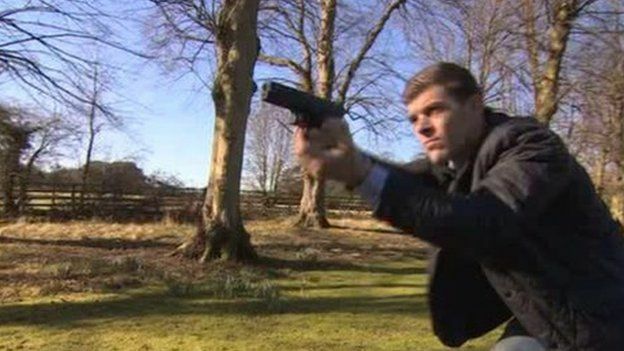 He ordered the pair to falsify the date of the exam - and even told the BBC researcher to write that he was "intermediate at martial arts", despite it being made clear he had had no martial arts training. Mr Bainbridge is one of the UK's most respected security trainers. He spent more than a decade in the Army, and three years as a contractor security training manager at Birmingham International Airport. Mr Yunis responded: "All your allegations are strenuously being denied, as ACC staff has [sic] never been engaged in malpractice. "All our students attend the courses, get trained by qualified trainers and take the exams." Mr Bainbridge made no comment. The London School of Social Studies in East Ham also offered the corrupt service. An employee told the researcher: "We're going to do your exam for you." After being approached by the BBC, its manager admitted fraud had gone on and claimed he was now a "changed man" as a result of his company being exposed. Fraudulent use of SIA cards carries a maximum jail sentence of six months. 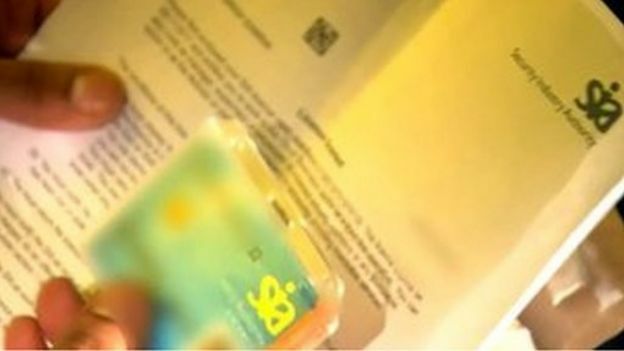 To illustrate the sensitivity of jobs an SIA card enables a holder to do, the BBC set about applying for roles with the fraudulently obtained card. An offer of employment was made by a major power station - a vital part of the UK's national infrastructure. The SIA card was sufficient to get the researcher vetted, with minimal background checks made. The researcher also passed an exam to guard Canary Wharf - a high profile potential terror target - and got an interview for a job. He made it on to both sites without being searched, or made to pass through a metal detector. Terrorism and security expert Crispin Black said both organisations would be "having kittens". 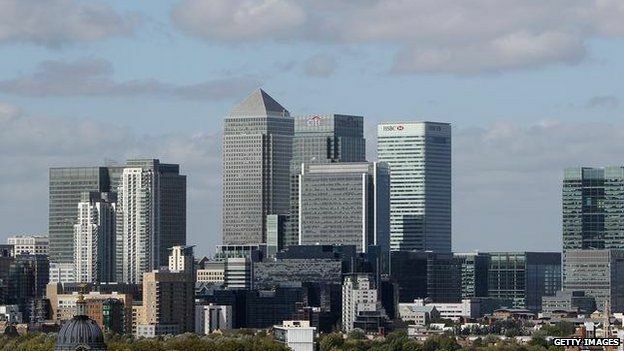 He said: "Canary Wharf has to be one of the grand targets - the fact even low level people would have access there is cause for enormous concern. "The regulatory system needs to be sharper and more vigorous. It looks very easy to produce bogus qualification." Mr Vaz MP vowed to raise the issue with the home secretary at the next Home Affairs Select Committee. He said: "I'm horrified. We're talking about a major scandal in Britain's security industry. "The Home Office needs to act extremely urgently." A spokesman for the SIA, which reports to the Home Office, said: "We take allegations of training malpractice seriously. "When the BBC shares the information it is holding on training malpractice, we will take immediate action against the licensed individuals concerned in order to protect public safety." The certificates the BBC obtained during its investigation were issued by the examining board Industry Qualifications, which awards them based on exam papers and other information received by assessment centres. In a statement it said: "IQ welcomes the BBC investigation and will mount a full investigation into the conduct of the centres concerned, following the broadcast of the programme. "IQ takes a zero tolerance attitude towards malpractice, and will involve the police if fraud is evidenced and take appropriate civil action. "Our first concern will be to withdraw certification from candidates where doubts exist, and work with the affected students to undertake re-assessment quickly." The BBC has destroyed the SIA card it obtained. Its researcher did not commence any work obtained with the licence. A Home Office spokesperson said: "We take allegations of malpractice very seriously and any criminal behaviour will be addressed." You can watch more on this on Inside Out London on BBC One on Monday, 23 March at 19:30 GMT, and nationwide on the iPlayer for 30 days thereafter. Additional reporting by Syed Fayaz. After paying the fee, the 'recruitment agent' may then claim that the e-money payment has failed and that the victim must submit a further e-money voucher code to continue with the application, this additional step is purely to maximise the fraudsters gain after establishing the victim’s interest. The Security Industry Authority is the organisation responsible for regulating the private security industry in the United Kingdom, reporting to the Home Secretary under the terms of the Private Security Industry Act 2001. The SIA's main duties are: the compulsory licensing of individuals undertaking designated activities and managing the voluntary Approved Contractor Scheme. On Friday [14 March], a director and manager of a security company were given custodial sentences, at Woolwich Crown Court, for security and immigration offences. Anthony Okoh, 45, and Victor Chiazor, 50, ran the security company Blue Feather Guarding Ltd without the necessary Security Industry Authority licence. The pair also employed unlicensed individuals who did not have the right to work in the UK. Okoh, of Floathaven Close, Woolwich, was found guilty of assisting unlawful immigration contrary to the Criminal Law Act 1977 and for deploying unlicensed security guards contrary to the Private Security Industry Act 2001. He was sentenced to four and a half years for the first offence and two years for the second, to be served concurrently. Okoh was also disqualified from working as a director for six years. Victor Chiazor, of Nightingale Vale, Woolwich, was found guilty of the first charge and pleaded guilty to the second. He was sentenced to the 18 months for the first offence and three months for the second offence. Both sentences are also to run concurrently. The SIA received intelligence about Blue Feather Guarding in the summer of 2012 that identified illegal practices including immigration offences. The SIA shared this intelligence with the Home Office and Blue Feather’s offices were searched. During the search a large amount of forged identification documents were found and seized and several individuals were arrested. The SIA then continued to work closely with enforcement partners to analyse the documents. At the trial in February 2014, Anthony Okoh and Victor Chiazor were found guilty of the offences. Two further individuals alleged to have involvement in the illegal activities of the company are to face a re-trial in November. "This shows how the SIA works closely with partner agencies, in this case, the UKBA, to disrupt organised criminals intent on committing serious crimes on a systematic basis. "The SIA is a key partner engaged in the government’s Serious and Organised Crime Strategy and has something to offer to all agencies that could contribute to the relentless disruption of organised criminal activity. "As we make more partnerships across the UK, we hope to see more partnership cases with outcomes like this. "The result of the trial sends out a very strong message to the industry about the commitment of the SIA and other enforcements partners in tackling serious crime." UK joins new international oversight mechanism for private security companies to help raise standards of conduct across the industry. A new international oversight body for the private security industry has been launched in Geneva today. The UK joined the International Code of Conduct for Private Security Service Providers Association (ICoCA) as a founding member, as did a significant number of UK Private Security Companies (PSCs). 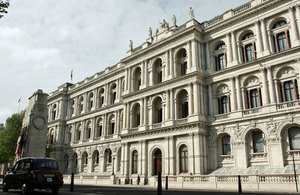 Helping make this new association a success is an important part of theUK’s Business and Human Rights Action Plan. I am pleased the UK has been able to support this important collaboration between governments, private security companies and civil society. Raising standards of conduct by private security firms across the world is particularly critical, given the complex environments many of them operate in. The ICoCA will be the first international body to oversee the activities of PSCs, and to provide independent monitoring and oversight to ensure members adhere to the International Code of Conduct for Private Security Service Providers. This code sets out principles based on international human rights law and international humanitarian law for PSCs working in complex environments overseas. Joining the ICoCA underlines the UK’s commitment to raising PSC standards worldwide, and to implementing the UN Guiding Principles on Business and Human Rights, as set out in the UK’s Action Plan on Business and Human Rights. The ICoCA will complement at an international level work the UK is undertaking on developing a system for PSCs to be certified to national standards. These standards set out measurable indicators, including on human rights, which will be audited by independent, professional auditors. The UK is supporting these professional standards and the ICoCA as part of our overall efforts to raise PSC standards. We have committed £300,000 to the launch of the ICoCA, and are carrying out successful advocacy efforts to encourage more PSCs, civil society organisations and governments to join the ICoCA, and to encourage clients of PSCs to recognise the national standards and the ICoCA in their contracting practices. Yesterday (27 Feb), at a meeting of the SIA's Strategic Consultative Group, Home Office officials updated representatives of the private security industry on the timetable for introducing business licensing. The necessary arrangements to allow the SIA to start accepting business licence applications in April 2014 are not yet in place, and therefore the 'open for business' date is postponed. The industry will be given at least three months' notice of the 'open for business' date. The revised dates will allow at least six months between the 'open for business' date and the legal requirement date - when it will become a legal requirement for businesses to hold a licence. 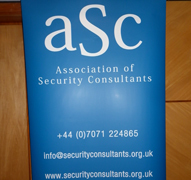 SGC - The Strategic Consultative Group comprises representatives from the private security industry, SIA, Home Office, Scottish Government, Department of Justice Northern Ireland, industry skills sector, Parliament, and other parties interested in the private security industry. An on-going investigation into training malpractice has led to a further 283 certificates being withdrawn. Highfield Awarding Body for Compliance (HABC) has withdrawn certificates as its investigation involving AAB Training, Adult Learning Network Ltd and Get Licensed continues. HABC has withdrawn the physical intervention unit that applicants took via ALN Limited and AAB Training to gain the Level 2 Award in Door Supervision, making the qualification invalid. Of these qualifications, 167 had been used to obtain a Security Industry Authority licence. The SIA has written to licence holders to explain that they have 28 days to gain a valid qualification or their licence will be revoked. HABC has set up a helpline for the affected learners. The telephone number is 01302 363 154. SIA licence holders affected by withdrawn certificates must correspond with the SIA; if they do not their licence may be revoked. 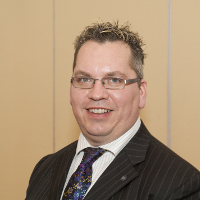 Carlisle Support Services is pleased to announce that Rob Pritchard, Account Director with Carlisle Security, has been appointed to the International Council of IPSA, the International Professional Security Association; the world’s oldest professional body for the security industry. Rob, who is one of the Carlisle Security’s most experienced and senior Account Directors, will bring with him a wealth of experience and industry knowledge gained over more than 20 years of delivering high quality services to clients ranging from small, local, businesses in south Wales, to iconic corporate bodies in London. Rob will be third Carlisle Director to have served on IPSA’s International Council. IPSA who, are strongly supported by Carlisle through their Employer Sponsored Membership Scheme, and Rob’s appointment further reinforces Carlisle’s commitment to excellence in the security industry. The British Security Industry Association (BSIA) has recently released a free guide to aid the retail sector in understanding the benefits of access control security systems. The retail sector faces a number of security threats year round, from shoplifting to organised crime, and these risks are increased by the heavy footfall brought on by mid-season sales. In 2012, the BSIA surveyed its members to discover their involvement in securing the retail industry over the past year. This research identified some interesting trends. Over 85% of respondents said that the use of private security measures within the retail sector had either remained static or increased over the previous 12 months. Interestingly, 65% of respondents also believed that a further increase was to be expected this year. In light of these results, this new guide serves to highlight how influential access control systems can be in managing known or anticipated threats within retail environments. Such systems can also be used to monitor and manage the areas of a premises that personnel can access, and since the BSIA’s survey found theft by employees to be a very real threat to the retail industry, these systems can also offer peace of mind to store managers. In fact, access control can provide a variety of benefits including time and attendance management, fire roll call technology and when integrated with other security systems, such as CCTV, can ensure maximum protection of a premises. To put these benefits into perspective, this helpful guide also incorporates a number of case studies from member companies within the BSIA’s Access Control Section who have had direct experience within the retail industry. Ministers want security companies to regulate their own staff and the industry's watchdog to move into the private sector. The statutory licensing of more than 330,000 individual private security workers is to be scrapped under a shakeup of the regulation of the industry proposed by Home Office ministers. They are instead proposing that private security companies regulate their own staff, with the industry's watchdog, the Security Industry Authority, moved into the private sector. Ministers say the phased move to a "business regulation regime" reflects the "maturity of the private security industry" and supports its willingness to take on further responsibility and be more accountable for its actions. The new regime will shift responsibility for the standards and behaviour of security staff from the SIA to an estimated 4,200 businesses operating in Britain. This will leave the regulator with the task of targeting companies or employees that fail to meet the required standards with a range of penalties from banning a company from the industry to criminal prosecution. Companies rather than the regulator will in future be responsible for carrying out checks on individual security staff. The move will involve the repeal of 2001 legislation, which was introduced following concern about widespread criminality among nightclub bouncers and contract security guards. When licensing was first introduced it covered 130,000 individuals. This has now mushroomed to 330,000 private security staff in a wide range of roles, from escorting failed asylum seekers abroad to running police stations. The minister for criminal information, Lord Taylor of Holbeach, said reform of the industry would improve transparency and accountability. "Our plans will raise standards and free up the SIA to concentrate on stamping out poor business practices and criminality. "It is also important that legitimate businesses are not overburdened by government regulation and red tape. By lowering the cost of regulation on the industry, savings can be passed on to customers." Ministers said that many of the proposed changes can be done without primary legislation but they hope to have the rest of the powers on the statute book by next October. An official consultation will run over the next eight weeks. Lady Henig, the chairman of the SIA, is due to step down in January, after six years in the role. The British Security Industry Association (BSIA) has today announced a new partnership with Skills for Security, in a landmark move that brings the sector skills body firmly back within the remit of the industry. The move, approved by board members of both organisations, will see Skills for Security become a wholly-owned subsidiary of the BSIA, reversing the Association’s divergence from its former training body, the Security Industry Training Organisation (SITO), which facilitated the formation of Skills for Security in 2006. Skills for Security will retain its own legal identity and, as such, remains a separate company limited by guarantee. Rather than allow it to be integrated into a wider business sphere, the BSIA has agreed to assume sole ownership of Skills for Security, which will return the sector skills body for the security industry firmly within the auspices of the industry’s trade association, as it was almost seven years ago. Importantly, this will also ensure that the industry retains control over its own training standards, particularly National Occupational Standards. The BSIA’s strong links with industry representatives is the key to both organisations’ future success, with the Association intending to leverage its existing relationships to raise the profile of Skills for Security and ensure that it retains its position as a leading training body for BSIA members, as well as the wider security sector. In a changing industry affected by developments to regulation and legislation, it has been recognised that, in recent years, Skills for Security has not been as close to industry suppliers as it could have been. As such, this development will improve the organisation’s ability to serve the current changing market dynamics. Visit the websites of the BSIA or Skills for Security for more information about these organisations. Shoplifting, fraud, organised retail crime and administrative errors have cost the British high street an estimated £4.9 billion in the last year, one of the highest figures ever recorded for the UK by The Global Retail Theft Barometer. The study shows that the total amount lost by British retailers from theft, fraud and error – evaluated as a percentage of sales – has increased by 6.2% in the last 12 months. Whilst customer theft is estimated at 43.8% of total loss, theft by UK employees was also a major factor. In addition, internal error and loss from suppliers and vendors accounted for 16.2% and 3.9% of the total figure. On average, thieves are estimated to have stolen £79 per shopping spree, demonstrating that the typical theft was more likely to be branded merchandise that could be resold for a profit. This is reinforced by the fact that clothing and apparel, reported the highest losses at 1.86% of sales. Within this category, accessories, outerwear and tailored clothing came in at the top, accounting for 3.72%, 2.82% and 2.40% respectively, of total retail losses. Natural and speciality foods also reported high levels of loss as did cheese (3.90%) which experienced more than double the global amount lost of 1.29%. Meanwhile in other high-risk categories – health and beauty – loss of items such as mascara, eyeliner and eye shadow increased to 2.37%. That said, the picture could have been a lot worse, had UK retailers not invested more than £1 billion on security and loss prevention in the last year. High-risk product lines such as meat are increasingly being tagged which reinforces the fact that security labels remain the most popular form of product protection. This is followed by hard tags and plastic security cases (keepers). Staff training has also played a vital role, with 95% of retailers already implementing programmes to ‘spot and deter’ theft and a further 90% planning on initiating additional programmes. However, whilst retailers increased their spending on solutions to counter the problem, loss prevention equipment's share of total loss prevention expenditures actually declined slightly, perhaps explaining why fewer thieves were apprehended globally. “Of the top 50 global retailers who responded to the survey, the ones which reported a decline in shrink from the previous year did not construe loss prevention merely as a matter of theft, but worked across their operations to systematically combat shoplifting, employee theft, vendor loss and administrative errors. Ninety-six percent of these retailers’ stores used audit programmes to monitor the use of loss prevention policies and above all, the retailers increased their loss prevention spending almost twice as much as the global average,“added Professor Bamfield. The Security Industry Authority has today launched a new SMS text message service for licence holders. Text messages will be sent to current licence holders to remind them that their licences are due for renewal. The message will inform operatives of the type of licence they hold and the expiry date and will provide a link to the renewal page on the SIA's website. Receiving text messages is optional and individuals can opt out by replying 'STOP' to the message received. If a licence holder prefers not to use the text messaging service, the SIA will continue to send the renewal letter by post. "This is the first phase of our new SMS text message service and we plan to introduce further developments early next year, starting with alerts to let people who have applied for a licence know how their application is progressing. "This new SMS service is part of our drive to improve contact between the SIA and our customers. Our aim is to make the licensing process easier and quicker for applicants by providing more flexible ways to interact with us." Major General Graham Binns is not your typical chief executive. As a lifelong soldier, he is more used to commanding an armoured division than a company boardroom. In 2003 he commanded British troops invading southern Iraq, and in 2007 returned as the commander of British forces overseeing the handover of Basra to the Iraqis. But now, four months into his new job as chief executive of Aegis Defence Services - a British private security company (PSC) - he has left army life behind. "It's liberating," he says, sitting in Aegis's comfortable headquarters in a plush office building in central London. "Thirty-five years in government service was a wonderful experience. But in the world of business, ex-military people have got a lot to offer - I certainly hope so anyway." For Aegis, netting a leading figure from the Iraq war can only be good for business - particularly when your business is in the often-controversial world of armed private security. Now one of the UK's biggest PSCs, Aegis has made millions from the conflicts in Iraq and Afghanistan since it was founded just eight years ago. The second Security Industry Authority conference of the year was opened and chaired by Dave Humphries, Director of Compliance, Intelligence and Communication, who welcomed delegates to the Sheffield venue. He stressed the importance of industry input as the SIA develops plans for the future of regulation for the private security industry. The audience then heard from SIA Chairman Baroness Ruth Henig, whose keynote speech outlined the achievements of the SIA far - such as compliance and enforcement activity and excluding unfit individuals from the industry, and the success of the ACS scheme - and gave an overview of intentions for the future. "We must ensure that together we build upon previous achievements in regulation, and develop a regime suitable for an evolving industry. We know that regulation needs to change and adapt to remain relevant in years to come. This will mean a lighter touch for compliant businesses and individuals, a lower cost approach, focussed on business licensing with businesses taking primary responsibility for checking and registering their employees, and the industry taking increased responsibility for driving up standards." She called upon delegates to share with the SIA what they saw as the priorities, and to work together to ensure adequate and appropriate regulation for the future. "There are important developments occurring within the private security sector. The Government hopes that these developments will lead to better regulation of the industry across the UK, ensuring that the private security industry continues to flourish whilst maintaining the high standards it has previously achieved, in helping to secure public protection." An overview of plans for the transition was delivered by Hazel Russell, SIA Director of Transition, in her presentation 'SIA Proposals for the Future'. She explained the key components of future regulation - a new regulatory body outside Government, the licensing of businesses, and a register of individuals fit and proper to work in industry, underpinned by effective compliance and enforcement. Steve McCormick, SIA Director of Service Delivery, then spoke on 'Designing Services Fit for the Future'. He said that with future regulation being developed to be business focussed and to achieve reduced burden and cost, there would need to be changes and improvements to service delivery. He described current plans to continue to improve the licensing and customer service, such as website improvements, a better bulk application process, and electronic contact and payment methods. The morning concluded with two discussion groups on the development of key operational functions. 'The Approved Contractor Scheme and the Future of the Hallmark' was chaired by ACS Assistant Director Andrew Shephard and Quality Assurance Manager Jody Parker. They set out plans for approved contractors to automatically qualify for the new business licence, and for the current ACS scheme to continue at least until compulsory business licensing is established. Delegates at the session agreed that the continuation of a hallmark scheme was crucial, in order to differentiate between the quality mark and the compulsory business licence. They called for acknowledgement of ACS membership within business licensing criteria, a continued licence dispensation scheme, and for all public sector contracts to be awarded to ACS contractors. 'Individual Applications, the Challenge for Employers', was delivered by Assistant Director of Customer Service and Quality Improvement Christy Hopkins. He explained that individual applications would be primarily the responsibility of businesses, with applications submitted through an employer or 'Mediated Access Partner', being e-enabled to ensure reduced burden and duplication. Applications would be only for new entrants, with no renewals rather a regular subscription, and a revocation and suspension process would remain in place, he said. In feedback, delegates stressed the importance of maintaining public safety through regular criminal record checks. They also said that as plans developed they would want clarification on how the qualifications upload and checking process would work. The afternoon sessions were commenced by James Kelly of the Security Alliance, who welcomed the strong commitment to regulation that had been shown by the SIA, Government and the industry. He was followed by Alastair Thomas, Home Office CCTV Policy Lead, who spoke about the need for joined-up regulation in the sector and the considerations for CCTV practices in the future. Delegates then heard from Ian Thomas, Head of Integration and Delivery at the London Organising Committee of the Olympic Games, who outlined the expected impact of the Olympics in 2012 and security requirements. Finally, the importance of targeting of serious and organised crime in the private security industry was discussed by Paul Evans from KPMG, former Director of Interventions at the Serious Organised Crime Agency. "It has been so useful to have you together here today to share views and give us your input and feedback. "I am conscious of the rapid progress and many changes that have been made throughout the past year. But, now that we are in the position of having a clear commitment from Government, and a clear framework for the future of regulation, this will mean a considered pace of change. We will take the time to make sure we get the details right, and that you in the industry have the time to give the necessary input and of course to adapt to the new regulatory regime."